Anna May Smith is an actress, comedian and writer in the Kansas City and Omaha areas. Anna is also a professional improvisational comedian and works regularly for Comedy City. Anna is involved with various improv troupes and comedy venues in the Kansas City area such as Girlprov, the Roving Imp, and Stitch Tactics. Anna May Smith has a a bachelor’s degree in theatre performance from the University of Kansas and has a gone through professional acting training with Dr. Nicole Hodges Persley, Jack Wright, Paul Meier, Leslie Bennett and Boone Hopkins. 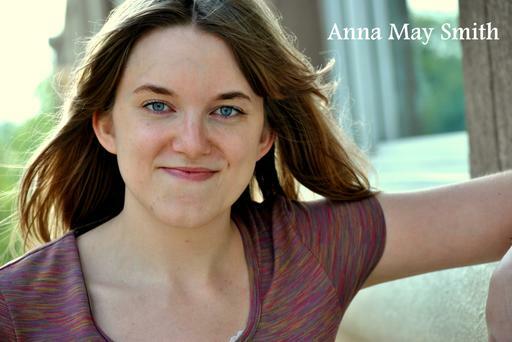 You can find Anna May Smith performing Improv and Stand Up Comedy throughout the larger Kansas City area.